The Maguire Quartet is like a high-speed car driving on German Autobahn with no speed limit. Their improvised harmony with rich emotional movements navigates the audience to the thrilling and vigorous musical journey. Witness these four young international lions of Carl (ds) and Alan (b), the disciples of Donald Brown, (Art Blakey & Jazz Messengers) and Ryosuke Asai (as) who is mentioned as a world-class on All About Jazz review, and Satoshi Sugiyama, who learned piano in Germany and flourished in Japan. Born in Kobe, Japan in 1985, learned to play trumpet at Shimane Harima Elementary School Trumpet Marching Band and shifted to alto saxophone at the award winning Konan Brass Ensemble at junior high school and high school. He studied improvisation from Yoshiaki Eto (s) and Hiroshi Ozone (s, fl). In 2004, he won the Best Soloist Award at Left Alone Amateur Band Audition. He studied saxophone at Koyo Conservatory of Music under Eiichiro Arasaki (s, fl), Randall Connors (s, fl). In 2006, he won a Grand Prix at the first Toyona Jazz Contest and participated in International Association of School Jazz (I.A.S.J) by Dave Liebmann (s) in Louisville, Kentucky, USA in June of the same year. In December, 2006, he performed at Blue Note Osaka with his own band. Upon graduation, he started his professional musician career. In 2007, he won the second prize at the first Kobe Next Jazz Competition and his1st album "Introducing" was released from Newburry Street Music. He participated in Hikari Ichihara's band and recorded 2 albums and toured Japan. He was also a member of Frontpage Orchestra led by Miki Toshio (s) and performed in Tokyo for 3 years. After that, he set up his own label Grey Heron Music and released two albums, "A Precious Thing" with five pianists, "The Alchemist" by Seiyu Asai, his own original band. It was covered by various Japanese media. 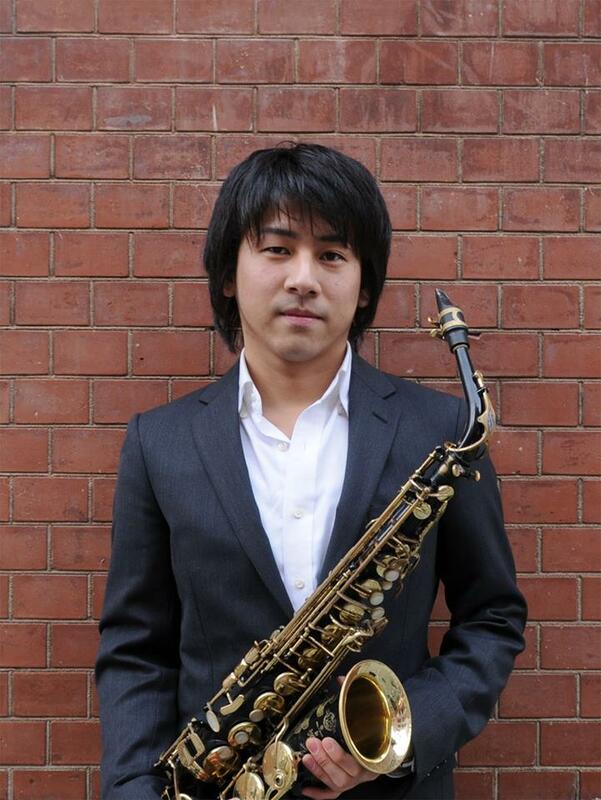 In 2012, he was selected as the saxophonist of the year on Jazz Page, a Japanese jazz website. In 2013, He appeared on NHK-FM program "Session 2013" a NHK, the Japanese national radio program with his own band and the band's performance was aired. Jazz pianist, keyboardist and composer Satoshi Sugiyama is one of the most promising upcoming artists. Born in Japan in 1984 and grew up in Hamburg, Germany from age 4 - 12. 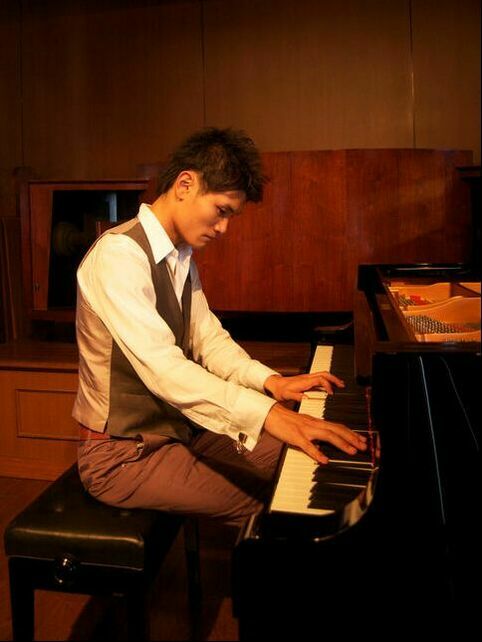 Satoshi took his first classical piano lesson at age 7. He started studying jazz at the age 15. While studying at Kansai Gakuin University, he joined the light music society and learned jazz piano under Kazuhiro Omori. He played many prestigious jazz venues around Kansai Area including Blue Note Osaka (now Billboard Live Osaka) and Mr. Kelly's. In 2008, Satoshi won the second prize at 'The Kobe Next Jazz Competition in Kobe'. In February 2009, he appeared on "Jazz Live Kobe" , a TV program on NHK Hyogo multiple times. In December 2010, his debut album "Someday" was released nationwide from JAZZ LAB RECORDS label. It was covered by various Japanese media. At the same "Figalo (Muto Jazz Quartet)" released nationwide in February 2011. In addition to guest appearances at the Jazz festival in various parts of the Kansai area and went on a tour of Tokyo - Kyushu. In April 2012, he performed in the French Quarter Festival in New Orleans, USA. In August 2013, he appeared with Yukari Okuni on the Yomiuri 24 Hour TV live broadcasting. In June 2014, I released "Bud Vase" collaboration work with Neo (vo) which I recorded at Studio Dede in Tokyo. 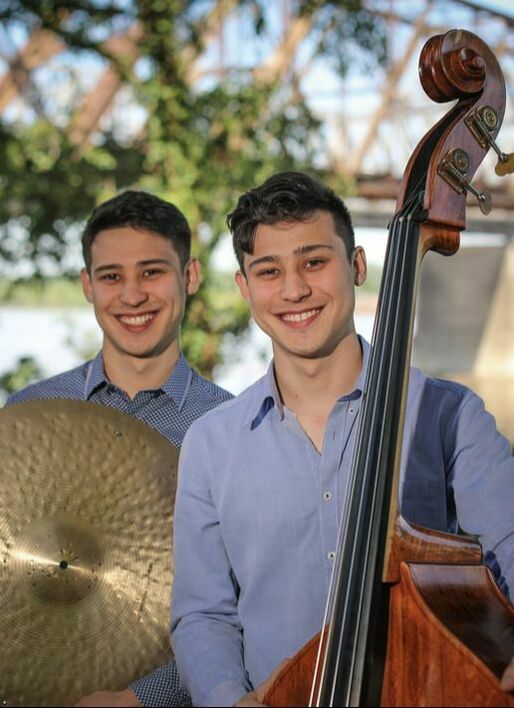 Born on March 19, 1996 in Tokyo and grew up in Hong Kong, The Maguire Twins, Carl Seitaro & Alan Shutaro Maguire moved to musically rich Memphis at age 15. They found jazz at Stax Music Academy and met Grammy awarded Kirk Whalum (ts) and Donald Brown (p), the former Art Blakey & Jazz Messenger member and their future producer. At age 15, they moved to the vibrant music city of Memphis, TN. There they joined the world renown Stax Music Academy, found jazz waiting for them and met Kirk Whalum, a Grammy winning saxophonist, who was then Stax artist in residence. That was also where they met Donald Brown, who later became their teacher, mentor and producer. At age 18, they recorded their first album, ‘The Sound of Music’ with Brown as a producer and Whalum as a guest artist. Their passionate playing style has been capturing the attention of many listeners of music, not only jazz listeners but also those who have no prior knowledge of jazz music. They frequently perform around various parts of the USA, Japan and Hong Kong and continue to develop and share their music. Their performances in Japan and Hong Kong in the winter of 2013-2014 were unexpectedly popular and caught the attention of many local media outlets. Ever since, they have been touring Japan and Hong Kong annually where their fanbase continues to grow and expand to farther reaches of the world. They have performed with artists such as Yosuke Onuma (g), Shigeharu Mukai (tb), Yuichi Inoue (p), Yosuke Sato (s) in Japan as well as Ted Lo (p) in Hong Kong. Their passionate playing style has been capturing many music fans, not only jazz fans.